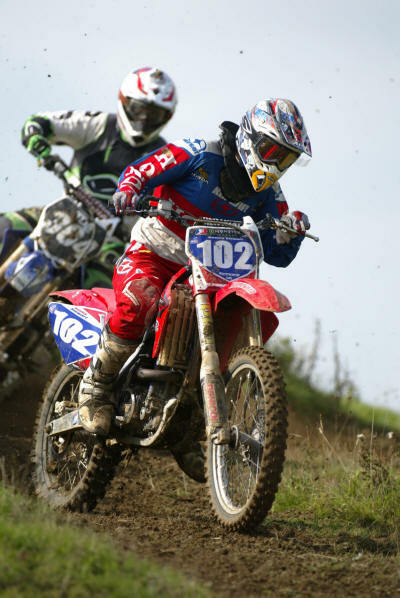 On the same day as the final GP of the year, NMCC held a round of its club championship at the world famous Crick International Motocross Arena. Despite two weeks of non-stop rain, the skies finally cleared and two days of sunshine left the track in perfect racing condition. Uncertainty over the weather was no doubt partly responsible for the small entry, although everyone that took part certainly seemed to be enjoying themselves. 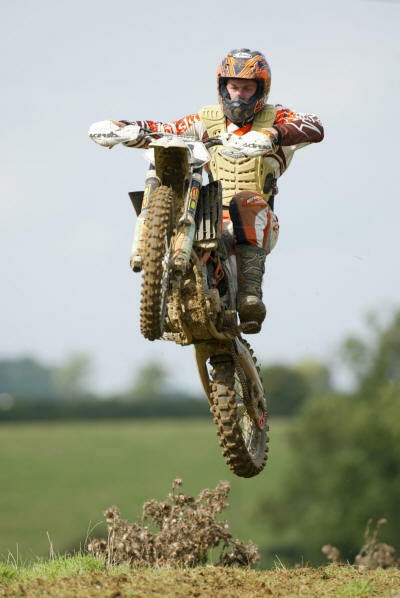 The club's multi-class format meant that riders could enter as many classes as they were eligible for, with many opting for six races, some of the fitter ones even nine. 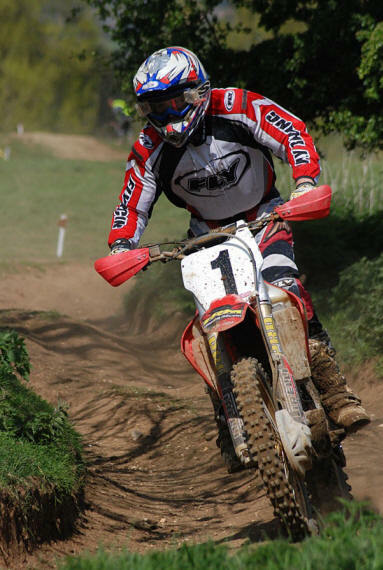 The track's outstanding natural feature is the deep ridge and furrow whoops which always command respect from the riders. Two long runs across these each lap sap the strength of the very fittest and a mistake here can cost dearly. They are also very popular with the spectators as a wide variety of techniques are adopted by riders hoping to conquer them. In the Expert class Paul Edge was unstoppable. He took a hat trick of wins, whilst behind him there was a close fight for second all day between Ryan Griffiths, Mark Boswell and Michael McClurg. Ryan's consistency earned him second overall from Mark and then Michael. The racing at the front of the Junior A group was equally close with the front runners never more than a few metres apart. Matthew Smith took the overall, from Scott Bates and Kevin Finch. In the Junior B's Barry Swain took both legs to win from double runner up Kyle Reeves and Kim Oyston. 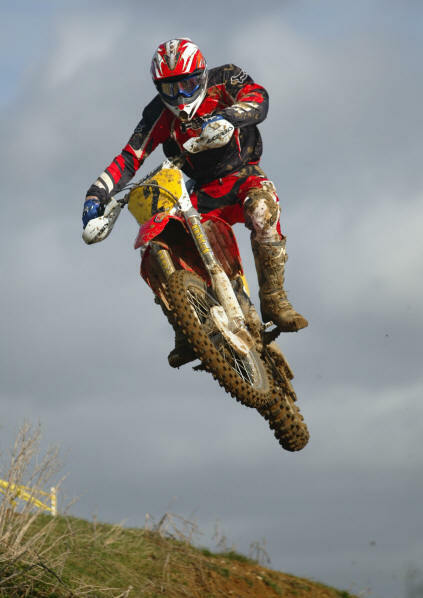 Despite two wins in the 125 class, Scott Bates was relegated to fourth overall after a dnf in race two. Adam Collins took advantage of this misfortune to claim the overall from Fraser Law and Matt Willis. In the age group categories the Experts were unsurprisingly near the front. Paul Edge took the Under 25 class from Michael McClurg and David Frankland, Ryan Griffiths heading Simon Stebbings home in the 26-39 group. Fraser Law took a clean sweep in the Over 40 class from fast-staring Steve Barney and Stephen Cole. Reg Willis came home first in the Over 50's. Many thanks to everyone who stayed around to collect in the track at the end of the racing. 26-39: 1 Ryan Griffiths, 2 Simon Stebbings.